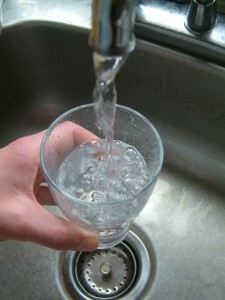 Complimentary home water testing has long been a service provided by RainSoft in Milwaukee, Wisconsin. In order for our customers to make informed decisions about which RainSoft products to buy, we feel it is essential to first perform comprehensive water testing to identify the exact nature of their water-quality problems. Every authorized RainSoft dealer in North America receives extensive training in how to test water for the presence for impurities, as well as for excess levels of hardness minerals that can harm plumbing and water-using appliances and cause a host of other problems. Water softener – We offer two models of water softeners, the fully automated EC4 and the timer-controlled TC Series. Both produce an unlimited supply of soft water that is great for bathing, doing laundry, and cleaning dishes because it helps soaps to lather better and doesn’t leave behind a sticky residue. Soft water is also easier on washing machines, dishwashers, and coffee makers because it doesn’t cause mineral scale to build up and force these appliances to work harder. Drinking water purification system – RainSoft manufactures two state-of-the-art drinking water purifiers that are capable of producing bottle-quality water right from the kitchen tap. Through water testing, a RainSoft technician can identify any impurities that might exist in the water your family uses for drinking and preparing meals. Whole-house water filter – We offer various problem-solving filters that take out iron, sulfur, sediment, and other contaminants, which we recommend when specific impurities like these are present in the local water. All RainSoft products are assembled in the U.S.A. at our ISO 9001-certified facility and backed by our Limited Lifetime Warranty. Contact your local authorized RainSoft dealer in Milwaukee, WI, today for additional details about our products and to sign up for our complimentary water testing service.